Delivered anywhere, anytime–no Internet connectivity required. "Our goal was to take our highly successful live online training offering and provide a leading- edge design and delivery platform for our clients..." explained Seth Kerker, Managing Director of Reputation Institute's Knowledge Center. Reputation Institute, the world's leading corporate reputation management consultancy, and Userfinity, a leading mobile application development firm, announced today the launch of Reputation Institute’s world-class Reputation Management training program as an iPad application available in the Apple® App Store. Now corporate executives at large and emerging organizations can immerse themselves in a comprehensive reputation management training delivered through a powerful interactive medium. Presented by leading experts and academic luminaries in the field of reputation management, this video training app provides all the necessary tools for on-demand training, anytime a user picks up their iPad–all without the need of an Internet connection. Users are now empowered to learn at their own convenience, at their own pace, and have all-in-one access to Reputation Institute's magazines, newsletters, case studies, and slide-show presentations. 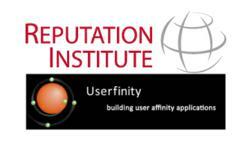 In partnership with Userfinity, Reputation Institute was able to design and deliver an exceptional user-experience powered by expert content, unmatched in the field of reputation management training. "Designing and building an iPad app that was beautiful, intuitive, feature rich, and allowed for complete offline viewing was no easy task–especially one that delivers on the promise of wherever, whenever access in a rich training environment,” said Colin Gribbin, Founder and CEO of Userfinity. "Our goal was to take our highly successful live online training offering and provide a leading- edge design and delivery platform for our clients, allowing them to learn from and experience the program we have worked so hard to create,” explained Seth Kerker, Managing Director of Reputation Institute's Knowledge Center. To date more than 500 people in over 40 countries have completed the live online training. Reputation Institute is the world’s leading corporate reputation consulting firm. Founded in 1997, with a presence in more than 35 countries, as a pioneer in reputation management. Through systematic research and analysis, Reputation Institute supports companies in building comprehensive strategies and making operational decisions that are designed to align stakeholders with corporate objectives, creating tangible economic value. Reputation Institute enables leaders to make business decisions that build and protect reputation capital and drive competitive advantage. Visit http://www.reputationinstitute.com for more information. Userfinity is a leading mobile and web application development and consulting firm focused on delivering a 360 degree user affinity experience for its clients in an increasingly mobile and on demand world. Visit http://www.userfinity.com for more information.